Data forensics is seldom something the average examiner feels like singing about, especially after a hard day’s trawl through the cesspit of some foul offender’s C drive. 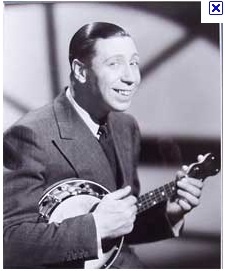 Small wonder, then, that one of the foremost forensicators of the 1930’s hid his true day job from the public gaze, preferring to promote an up-beat, cheerful persona as that cheeky, chirruping songster, George Formby. Yes, when he wasn’t bashing a ukulele or finding a lamppost to lean on, it seems the toothy-grined Northerner was actually hip-deep in Hex. This much is clear from the recently-unearthed first lyric for one of his most popular hits, ‘The Window Cleaner’. Revealed here, for the first time, the words show that it was but a short step to the version which we know today. I’ll show the opposition that I am the smartest Geek. “Cos it’s all there in Windows. When he invented Windows ! So here’s a toast to Windows!